Around the middle of this month (June 2017) EPI and I embarked on our annual book drop tour. This is where we drive the Ring Road around the country, visit booksellers, and introduce any new books we have. Originally we had books in the car and dropped them off (hence our little moniker) but since we now publish ten titles it’s become a little difficult to fit them all in the car. So these days we just take the newest books and send the rest by mail. Anyway. I documented our tour on Instagram, and many people wanted to know where those places were that we visited. I promised I would write a post when I got back with the details of where we stopped and where we stayed. So without further ado, here are some links. I’ll keep the descriptions short and sweet, and you can see the pics I posted on my Instagram account under the hashtag #bookdroptour. We drove along the south coast due east, and stopped at a few places along the way. Skógarfoss waterfall (above). Always lovely. Hvolsvöllur. Here we checked out the brand-new Lava Centre that had just opened when we were there. Totally WOW – highly recommended! Reynisfjara beach. Please be careful here, the undertow can kill! Vík, where we had dinner at Halldórskaffi. It don’t care what TripAdvisor says, the food was terrible and overpriced. Sadly there isn’t much choice in Vík, which is why we ate there, but next time I’ll make do with sandwiches from the supermarket. Hunkubakkar, where they have accommodation in small cottages in a lovely setting, and where we stayed the night. Fjaðrárgljúfur. A magnificent canyon, right by Hunkubakkar, where we stayed. Skaftafell. A national park with exceptional natural beauty. We stopped to say hi to the people who sell my books at the visitor’s centre, and would have gone for a hike if we hadn’t been on a schedule – the surroundings are stunning. Svínafellsjökull glacier. Majestic. But don’t even think about going hiking on a glacier without an experienced guide. Why? I tell you in my new book. Fjallsárlón glacial lagoon. Not as crowded as the nearby Jökulsárlón, and absolutely mesmerizing. Foss á síðu. A beautiful waterfall right next to the road. We only stopped to snap a picture, but I mention it because many people asked where it was. Höfn. A small town in the east, where you get excellent linguistine (small lobster). We always stop here on our tour for the sole purpose of going to Humarhöfnin, which serves the most excellent lobster dinners. The service is fantastic, too – relaxed yet professional. An absolutely essential part of our ring road tour, always, even if it’s a little pricey. It’s worth it. House on the Hill. Where we stayed. It was clean, modern, quiet … we had to share a bathroom, but there were only a couple of rooms to each bathroom, so it wasn’t too bad. The only thing I can fault is that the floor of our room was freezing, so bring warm socks if you plan to stay there! By this time we were in the East Fjords. We drove due north and stopped in the towns of Djúpivogur and Fáskrúðsfjörður to chat with booksellers, before moving on to a cabin that we had borrowed from friends for the night, in Hallormsstaðarskógur, Iceland’s largest forest. Before moving on to our next destination, we drove out to the lovely Skriðuklaustur – a museum and artists’ residence that was once the home of celebrated Icelandic author Gunnar Gunnarsson. The house has very unique architecture by Icelandic standards, and was a very imposing residence in its day. They have a restaurant that has a fabulous cake buffet in the afternoons. From there we backtracked and headed to my favourite town in Iceland, the beautiful Seyðisfjörður. We usually stay at the hostel there, but by the time we got to booking this year it was completely full. However, through the goodwill of some lovely people we managed to score an Airbnb residence that was absolute perfection. It is located in a veritable ghost town around 7 km outside of Seyðisfjörður, by which I mean an abandoned village, of which only two houses have been restored. The house in which we stayed is the old schoolhouse, that has been painstakingly refurbished. It is utterly gorgeous. Check it out. While in Seyðisfjörður we visited the NorthEast sushi bar – excellent! But mostly we just stayed in Sæberg because it was so amazing. We had to cover a fair distance on this day – from Seyðisfjörður to Siglufjörður, via Húsavík and Mývatn, so we didn’t stop much. However, we did have a very good fish & chips dinner in Akureyri, at the aptly named Akureyri Fish and Chips. Excellent food, and very reasonably priced. Incidentally, there is a Reykjavík Fish and Chips too, which I assume (given the similarity of their logo and food presentation) is run by the same people. We have eaten there once, too, and it was just as good. Had a wonderful day visiting with friends who have an apartment in Siglufjörður, and with whom we stayed. We went for a hike along one of the many amazing hiking routes in the area, and then went for a stroll around the town. Ended at a lovely café, Fríða chocolate café, run by a woman who is a visual artist as well as a chocolatier and who makes awesome hand-crafted chocolate truffles. If you visit (and you should) make sure you check out the bathroom, I’ll say no more. We barrelled home, stopping only to chat with a couple of booksellers, and quite frankly eager to get home because, you know, home is where the heart is. So that was it! I hope you find some of those links useful, and make sure you check out my Instagram photos because as we know, a picture tells a thousand words. Incidentally, none of the above links are sponsored, meaning we paid through the nose like everyone else. 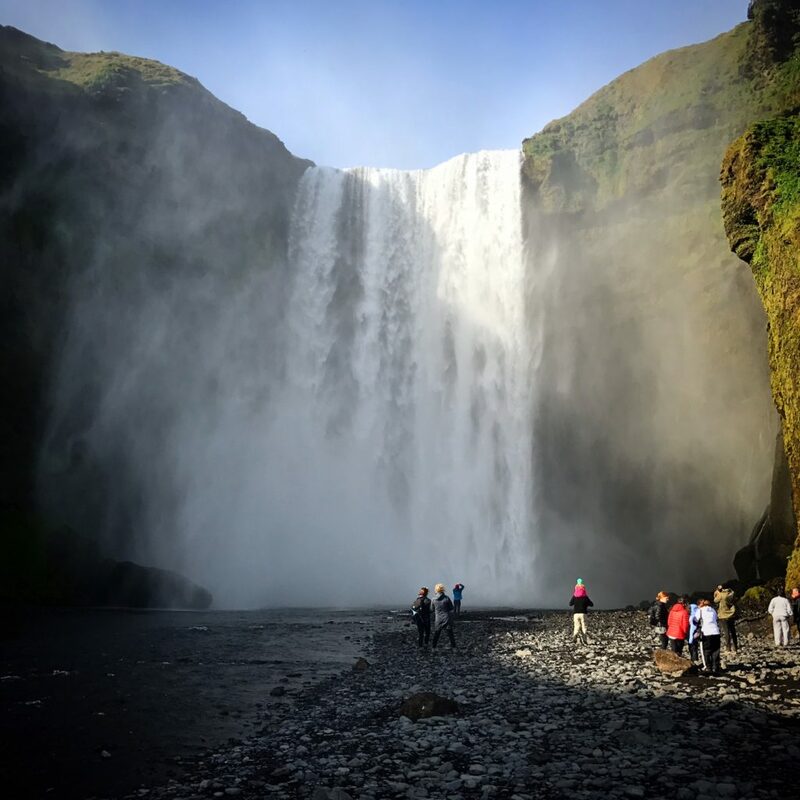 However, where I have linked to Guide to Iceland posts I have used affiliate links, just so you know.